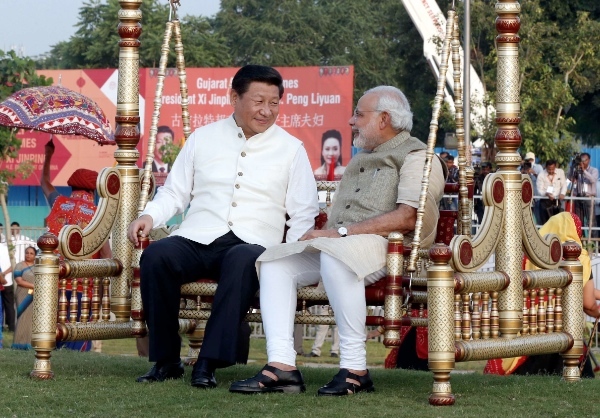 Chinese President, Xi Jinping’s maiden state visit to India has attracted worldwide attention. Expectations on both sides of the Himalayan border have soared that this visit will significantly enhance Sino-Indian economic ties. On Thursday, President Xi pledged to invest $20 billion in India and give its companies greater access to key Chinese markets. The Communist leader also said he would push for a massive boost to China’s economic cooperation with South Asian countries, with the target of increasing annual trade scale to $150bn, and the total amount of China’s outward investment up to $30bn in the next five years. Considering the current trajectory of Sino-Indian trade, President Xi’s plan is quite ambitious. In 2013, the total trade volume between China and India amounted to $65.5bn, substantially lower than the $100bn target of 2015. The lopsided trade relationship is further accentuated by a huge gap between the current size of Sino-Indian FDI capital movement and the targeted level of China’s ODI. At the end of 2013, the flow and stock of China’s ODI in India was just $150mn and $2.4bn respectively, and those of India’s ODI in China only amounted to $27mn and $508mn. These figures, in a way, signify that current economic relations between the two neighbours do not do justice to their joint potential, and that the two Asian giants must enhance mutual trade and investment. China and India, apart from being some of the fastest growing global economies, far-outshining European counterparts, also have high economic complementarities. China has a relatively developed manufacturing industry with the famed “World Factory” tag, but its service sector lacks competitive abilities. India boasts of a highly developed software and pharma industry, but its manufacturing industry is much less developed. It is heartening to see deals for development of railways, pharmaceuticals among the 12 agreements signed by Xi and Indian Prime Minister Modi. China is a capital surplus country with huge foreign exchange reserves, large and persistent current account surplus and capital account inflow. India is a capital deficit economy with long-run current deficit and relatively heavy government debt. China has a relatively developed infrastructure system and rich experience in infrastructure construction, while India’s city infrastructure, electric power supply and transportation system is quite poor and infrastructure construction capacity is not well developed. The Modi-administration has put forward an ambitious infrastructural development strategy, which aims at substantially increasing infrastructural investment in India. According to an estimate of Asian Development Bank, the total demand of infrastructure investment in India will skyrocket at $1tn in the next ten years. It is very likely that the infrastructure sector will become the most logical link between China and India’s economic cooperation. The upcoming establishment of the China-mooted Asian Infrastructure Bank and India’s willingness to join in should significantly accelerate Sino-Indian infrastructure cooperation and stimulate China’s outward direct investment in India. As the largest and second largest populated countries in the world, and leading emerging economies with huge growth potential, the common markets of China and India are vitally important for both economies’ sustainable development. Traditionally, developed countries have remained key markets for Chinese and Indian products. However, with the global financial crisis and sovereign debt crisis, the dominant role of developed economies in stimulating demand-driven global economic growth has now shrunk. This is the opportunity for China-India to diversify their markets and create a large common market for Chinese and Indian products and services. The relative robustness of the financial system and the economies of China and India, at the time of the global economic recession has seriously undermined the hegemony of advanced nations in global governance. However, China and India are yet to get their due recognition in existing international financial institutions like the IMF. China and India’s voting power at the IMF and World Bank have long been disproportionately low compared to their relative weights in the world economy. As rising emerging giants, China and India have global ambitions and can no longer accept the skewed fiscal world order of today. Beijing and New Delhi will soon discover that mutual cooperation is an effective way to enhance their voices and influences in current global economic governance architecture. China and India have already adopted some coordinative measures under mechanisms of BRICS, G20, WTO and climate change negotiations. 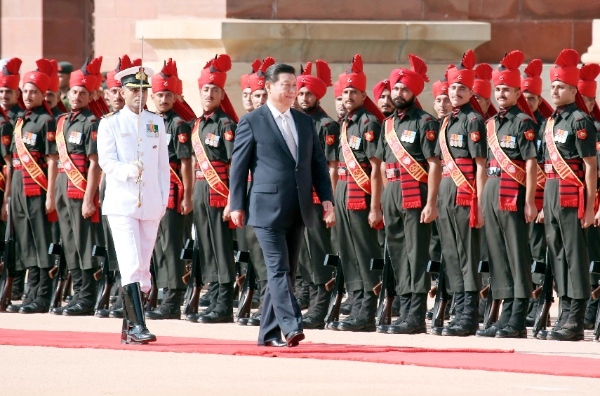 However, Sino-Indian cooperation is plagued with trade imbalance, territorial disputes, institutional obstacles and negative influences of external factors which can only be corrected through leadership initiatives, like the current Xi Jinping trip. In recent years, trade tensions between China and India have risen due to Indian large trade deficit and manufacturing industry development orientation. In 2013, India had recorded $31.4bn trade deficit from China, and which was 22.6% of India’s total trade deficit. In one word, President Xi’s visit will significantly accelerate sino-Indian economic cooperation particularly in infrastructural sectors, due to high economic complementarities and broad common interests, if territory disputes and political distrusts are effectively managed and reduced to minimum level. Fortunately, we have seen signs that China has taken some concrete steps to narrow disagreements, such as inviting India join in Shanghai Cooperation Organization, and putting forward new suggestions on territory negotiations. Even if the IMF is still not acknowledging the role of these two countries the people in the streets does…. Prof. Wang Yongzhong is Deputy Director, and Senior Fellow at China's premier think-tank China Academy of Social Sciences.